Purchased from Mar-Val Supermarket in Prather, California. Poured from a 22 oz bomber into a snifter. 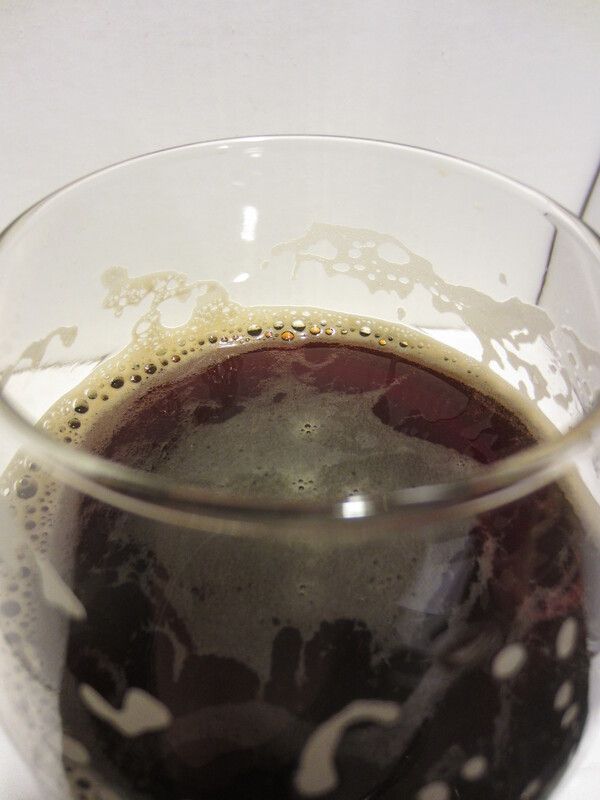 The body of the beer is super dark brown, almost entirely black with little visibility. It is much darker than I expected, as barley wines I’ve had in the past have had much lighter colored bodies. A dark tan head is poured, which quickly dissipates to a wispy covering and leaved moderate lacing. 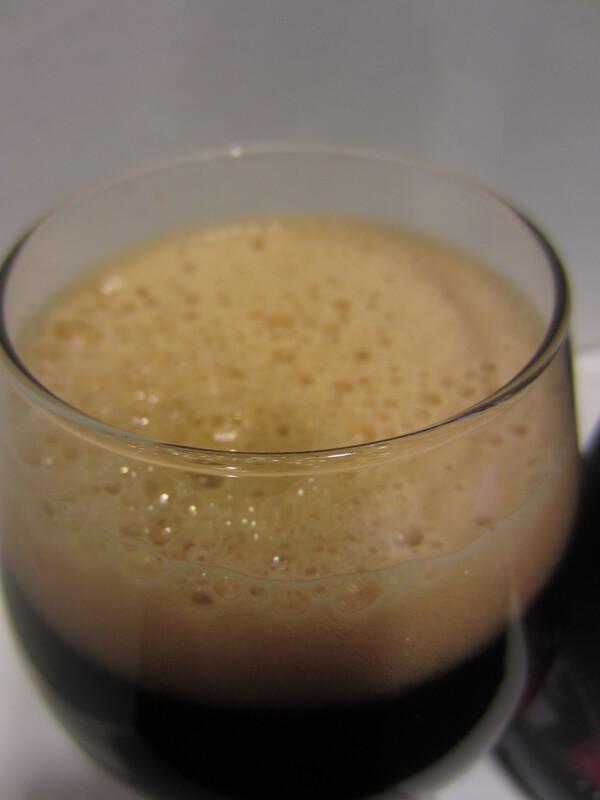 A small amount of carbonation can be seen bubbling up the glass. A fairly complex aroma, consisting of dark dried fruit, syrupy caramel malts, grainy breadiness, molasses, and alcohol notes. Medium-rich bodied and smooth going down, finishing dry with light hop bitterness and alcohol presence. The flavors begin with the dark fruit and caramel malt combination from the nose. The aftertaste is also dark fruit mixed with light alcohol, but gives way to a lingering dry mouthfeel that is reminiscent of the flavors from chewing whole roasted espresso beans. 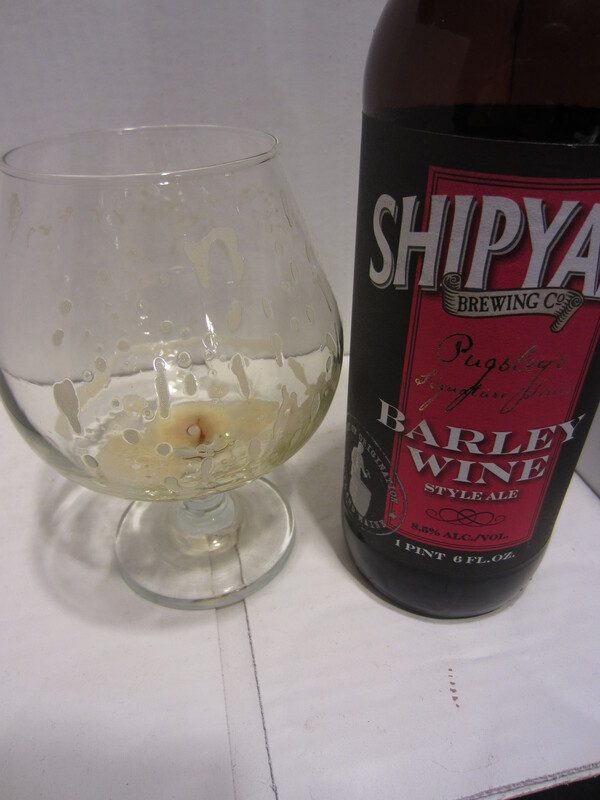 This is my first barley wine review, and the first English style one I’ve had. 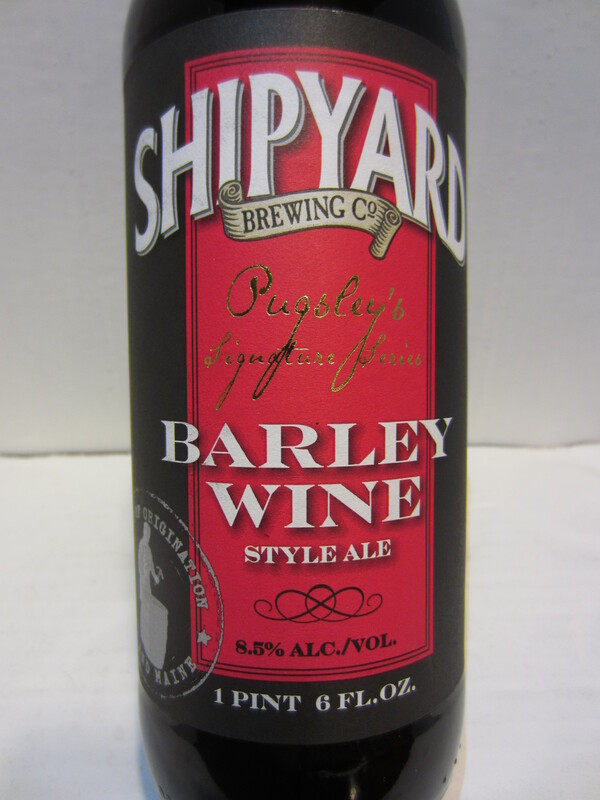 In fact, I didn’t know there were English vs American varieties until I began researching this beer for reviewing. This one begins somewhat underwhelming, neither good nor bad, but has a very good finish to it. The dark fruit flavor that evolves into the dry, roasted espresso bean finish is unlike anything I’ve had in a beer to date, and its a neat experience for the palate. I always like it when a beer offers an experience, so I definitely bump up the scores of beers that offer that. All told I rate this one an 8/10. This entry was posted in Barley Wines, Beer Reviews. Bookmark the permalink.